Hit “/” for Global Search and Go Faster! 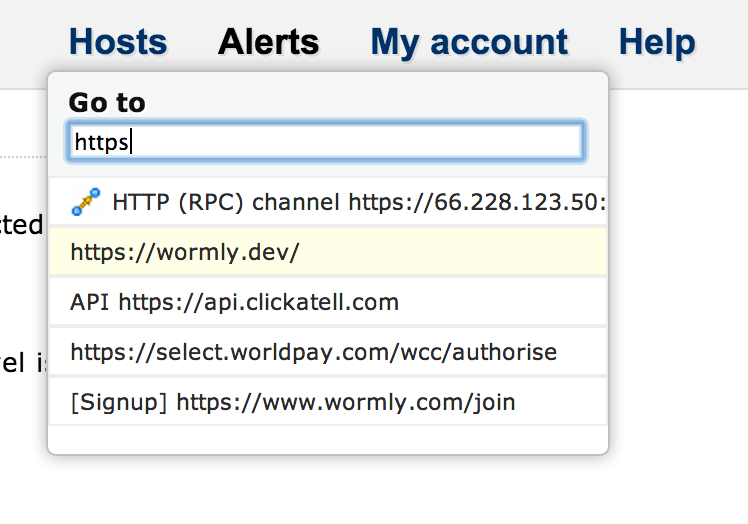 Hit the “/” key and start typing part of a host name, URL, email, phone number then hit “ENTER”. Or “TAB, g” to see graphs. Those of you who prefer to avoid the mouse or trackpad have probably already discovered these. Today, however, we’ve shipped a major update to the keyboard UI, notably around the search facility. Previously you could hit “j, j” to bring up a simple jump-to-host list. Whilst that shortcut still works, we’ve switched to “/” as the trigger because the forward slash has become the standard way to invoke site-searches around the web. Note that all of these hotkeys and behaviours are also found in the search box on the My Hosts page. No need to hit slash there; since the search box has focus on load. Happy searching, power users! When you’re editing a monitoring sensor, hit ENTER to run an Instant Test, and CONTROL-ENTER to save your changes. When you’re on any page belonging to a host (e.g. 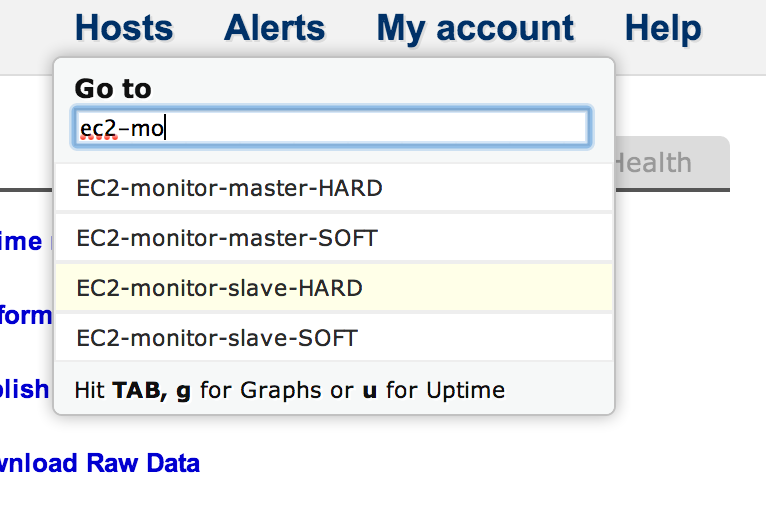 graphs, uptime reports, editing sensors, configuring alert groups, etc), simply hit “h” to jump to the Host Overview page. You will find this hotkey – and others – documented when you hit “?” to view the Keyboard Shortcut legend.